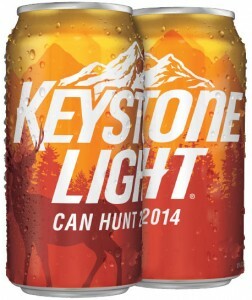 Keystone Light Keystone Ice Orange Can Hunt Sweepstakes – promorules.com/r44t67 : Will you find specially marked orange cans ? There are two (2) ways to enter this sweepstakes as described below. You may enter by visiting promorules.com/r44t67 and locating the Orange Can Picture link (this is a picture of the specially marked orange can). Snap a picture of it and submit it by text message or e-mail to it to orangecanhunt@keystonelight.com. 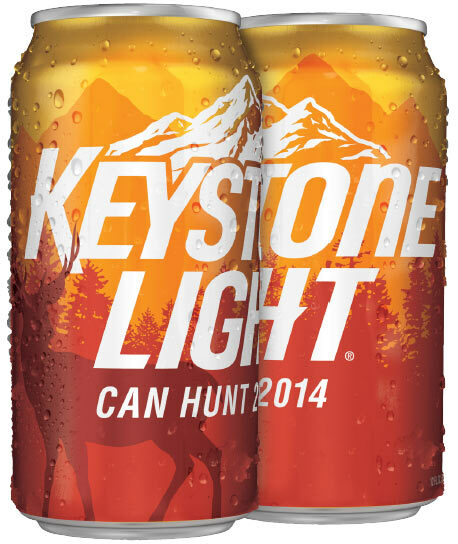 Find an orange can in specially marked Keystone Light 12-packs, 18-packs, 24-packs and 30-packs and Keystone Ice 30-packs, while supplies last. If you find one, you must photograph it and submit the photograph by text message or e-mail it to orangecanhunt@keystonelight.com. No more than one (1) entry will be allowed per entrant/day, regardless of the method used to enter. The sweepstakes consists of thirteen (13) periodic sweepstakes drawing periods starting at 12:00 PM CT on September 1, 2014, and ending at 11:59:59 PM CT on November 30, 2014. Entrants must be legal U.S. residents who are at least twenty-one (21) years old at the time of entry. Grand Prizes (3): Each Grand Prize Winner will receive an ATV and a $600 pre-paid card. The ARV of each Grand Prize is $11,100. The total ARV of all Grand Prizes is $33,300. First Prizes (250): Each First Prize Winner will receive a backpack. The ARV of each First Prize is $120. The total ARV of all First Prizes is $30,000. Second Prizes (250): Each Second Prize Winner will receive a RealTree Fleece Jacket. The ARV of each Second Prize is $100. The total ARV of all Second Prizes is $25,000. Third Prizes (200): Each Third Prize Winner will receive a non-electrical cooler. The ARV of each Third Prize is $50. The total ARV of all Third Prizes is $10,000. Fourth Prizes (500): Each Fourth Prize Winner will receive one (1) pair of RealTree Gloves. The ARV of each Fourth Prize is $25. The total ARV of all Fourth Prizes is $12,500. Fifth Prizes (250): Each Fifth Prize Winner will receive a Camouflage Cap. The ARV of each Fifth Prize is $17. The total ARV of all Fifth Prizes is $4,250. Sixth Prizes (250): Each Sixth Prize Winner will receive a Camouflage T-Shirt. The ARV of each Sixth Prize is $17. The total ARV of all Sixth Prizes is $4,250.